Although people sometimes call them “upside-down rainbows,” they’re made not by rain, but by by ice crystals in the upper atmosphere. 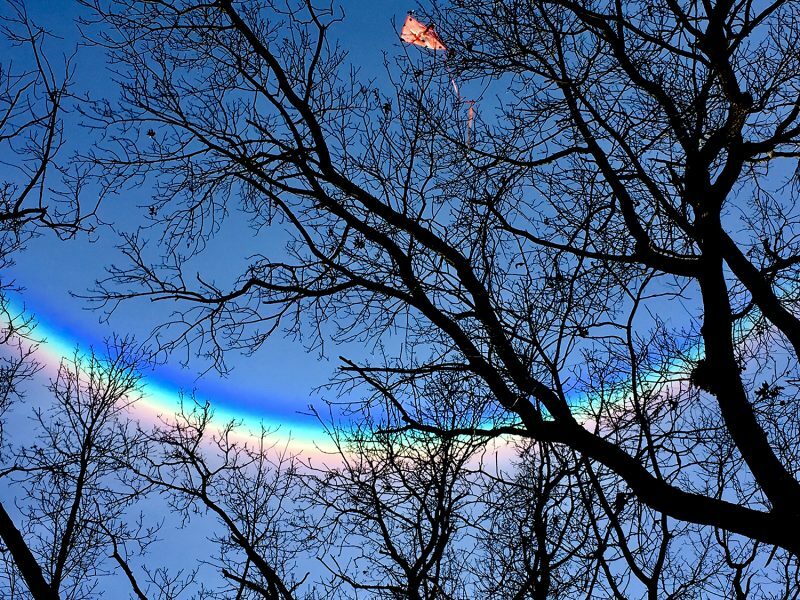 David Lamberti caught this circumzenithal arc on January 6, 2019. Notice the kite in the tree! He wrote: “It was a beautiful January day in southeast Michigan. I looked up, and there it was, a beautiful circumzenithal arc. It was enormous, and the colors were very deep. It faded within 5 minutes.” Thank you, David! EarthSky lunar calendars are cool! They make great gifts. Order now. Going fast!